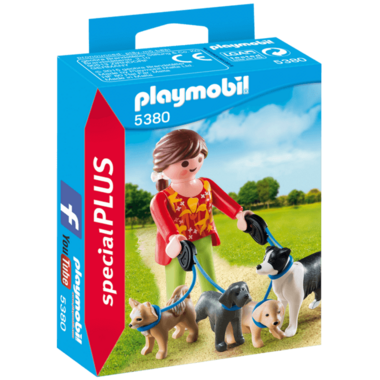 Take the group of pups for a stroll through the park with the PLAYMOBIL Dog Walker. Let your imagination play! 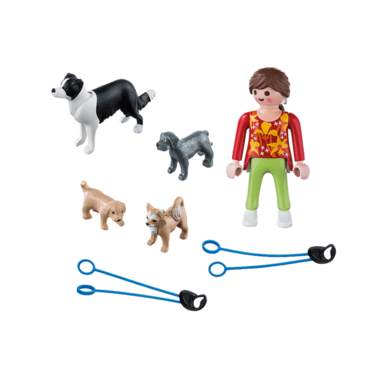 Playset includes dog walker figure, leashes, and four dogs. Dogs included are Chihuahua, Mastiff puppy, neutral puppy and border collie. Recommended for children ages 4+. Small parts risk choking hazard.